The Revised Norms are below. Though they have been officially promulgated, the Norms will go into effect January 1, 2019. Formation for current ministers has begun. Please feel free to download a copy, which includes interactive links to source documents. Please check this page often between now and December 3, 2018 to see resources, talking points, and, once Advent arrives, the norms themselves. Please check this page often between now and December 2, 2018 to see resources, talking points, and, once Advent arrives, the norms themselves. Join Bishop Frank Caggiano as he outlines the upcoming Revised Liturgical Norms governing four ministries: altar servers, readers, musicians, and Extraordinary Ministers of Holy Communion. When the liturgical reforms of the Second Vatican Council were promulgated, the lives of many of the faithful were disrupted, because they were neither informed nor prepared for the changes to come. As we look forward to the promulgation of our own revised liturgical norms, Bishop Caggiano is committed to avoiding that same mistake. 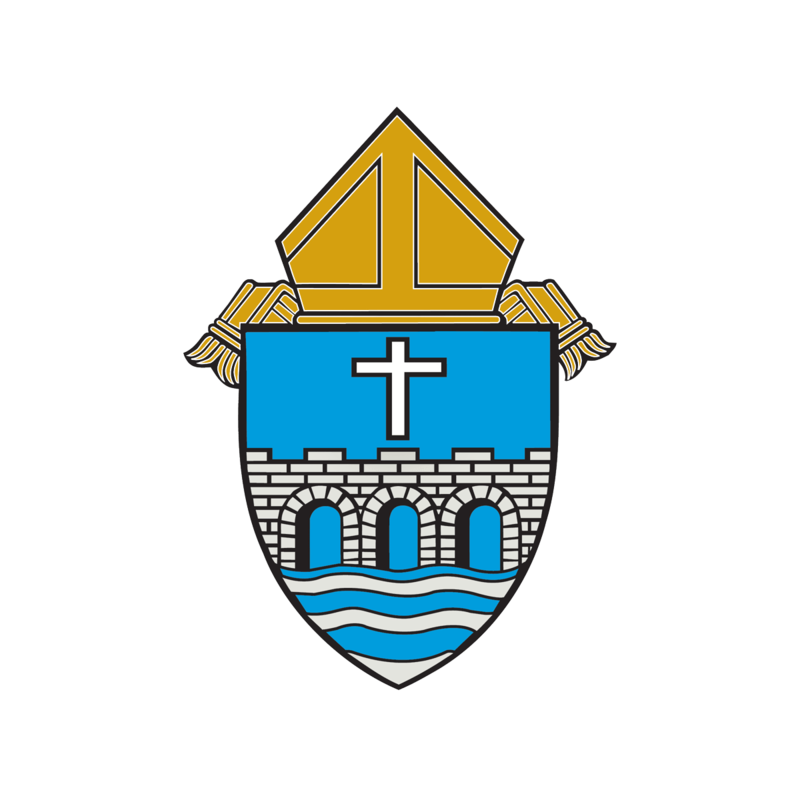 The Revised Liturgical Norms for the Diocese of Bridgeport are available above. They go into effect on January 1, 2019. The articles below were distributed in all parishes during Advent 2018 so there is a more complete understanding of what we aim to do, namely, raise awareness of and commitment to a celebration of the Holy Sacrifice of the Mass that is both faithful and universal. In the video above, Bishop Caggiano outlines the timeline for catechesis, makes the case for why we are revising the norms, and invites everyone to participate in this process. To embed this video in your parish website, please copy and paste this link: https://formationreimagined.wistia.com/medias/4wbosdtksn. In the video above, Bishop Caggiano outlines the timeline for catechesis, makes the case for why we are revising the norms, and invites everyone to participate in this process. To embed this video in your parish website, please copy and paste this link. In addition to the online formation that is required for liturgical ministers, face-to-face formation is required. The following sessions have been scheduled. When you log into LEAD, the Institute's learning platform, you will see available sessions and will be able to enroll. Log in via the button at the top right corner of the website or on this page. In addition to the online formation that is required for liturgical ministers, face-to-face formation is required. When you log into LEAD, the Institute's learning platform, you will see available sessions and will be able to enroll. Those who currently serve as a reader, Extraordinary Minister of Holy Communion, or liturgical musician and would like to hear more about the norms are invited to attend one of these sessions. Please note that these meetings will be for information, not formation. Formation workshops will begin after January 1, 2019. For those who do not have access to a computer, please share the paper application. Once the paper application is submitted, The Leadership Institute will send a workbook that mimics what others learn online. Complete instructions are included and participants may sign up for face-to-face workshops by using the enclosed list and calling the Institute to register. Once participants are finished with the workbook, a one-page Learning Summary is returned to the Institute. After the face-to-face workshop is attended, the mandate is issued. If you know someone who could use the paper application, please download a copy for them today. One of the requests made by the pastors at their September 2018 meeting was that the process for those currently serving in ministry be as easy as possible. To that end, we have updated the Virtus database for every parish and included among the “roles” a place for you to check a box next to Extraordinary Minister of Holy Communion and Reader. Between now and November 30, 2018, please make sure you check the appropriate box next to those currently serving in these ministries. By checking off their name, you are recommending these people for service. There will be no need to submit a letter of recommendation on their behalf. After the norms are promulgated, those whose names have been checked will receive an invitation to begin their abbreviated formation prior to receiving their mandate. Bishop Caggiano requests that parishes not invite new people into these ministries until after the revised norms have been promulgated. All new minsters will need to attend the new formation requirements that will be explained in greater detail in a separate memo to be sent to you soon. Thank you for your cooperation as we begin to implement this multi-year process to revise the sacramental guidelines of our diocese. If you work with high school students (or children under 18) in your parish or school and would like to offer formation for readers and EMHCs, please begin here. Why are the norms being updated? The current liturgical norms of the Diocese of Bridgeport were last revised in 1983. Bishop Caggiano, as the chief catechist of the diocese, felt it was important to review current norms to ensure the Holy Sacrifice of the Mass is appropriately celebrated and those who minister within the context of the liturgy are properly formed. Plus, the Fourth General Synod, which concluded in September 2015, mandated that these norms be revised. These norms will be in effect ad experimentum for one year, after which there will be revisions to the norms before they become particular law in the Diocese of Bridgeport. To whom do the norms apply? The norms, promulgated on December 2, 2018 offer standards and required formation for those who serve as Readers (proclaimers of the Word at Mass), Extraordinary Ministers of Holy Communion (EMHC), Altar Servers, and Musicians. Most of the formation for Altar Servers will happen at the parish level. Musicians are invited to watch one module online and then attend a face-to-face conversation with Bishop Caggiano on February 16, 2019. Readers and EMHC who are grandfathered into the formation will complete an online module and a face-to-face gathering, which can be hosted at their parish. What happens between now and when formation opens? By November 30, 2018, all pastors and/or safe environment coordinators are asked to enter the Virtus database, which holds all information for those who are cleared for ministry and place a check mark next to those who currently serve as a Reader and an EMHC. This check mark serves as a recommendation for ministry by your pastor. Beginning on December 3, 2018, all those who have been approved by their pastor will receive an email welcoming them to the Institute and inviting them to begin their formation. Those currently in ministry will have between December 3, 2018 and June 1, 2019, to comply with the new formation. What if I do not get an email on December 3, 2018? If you do not receive an email, check with your parish first. Then, feel free to email The Leadership Institute with any questions or to ask us to double check the Virtus database. Follow the link you receive and complete the registration process. This ends with a screen that asks you to set your password for LEAD, the Institute’s online learning platform. Be sure to write your password down. When you have met all requirements, you will receive your certificate (“the mandate”) to give to your pastor. Pastors will also receive a list of those to whom a mandate has been given. Register online (registration opens on December 3, 2018). Visit The Leadership Institute and click LEAD to register. Attend one face-to-face meeting. At this point, the only scheduled meeting will be held on February 16, 2019, and registration is within the learning platform and on the Institute’s website. The meeting will be recorded for those who cannot attend. You will have until June 1, 2019, to complete formation. Why do I need formation if I am already serving in this ministry? We know that many of those who currently serve in ministry are faithful people with a generous heart. Though the local formation that happens in many of our parishes is worthwhile, diocesan formation has not existed for several years. This formation gives those in ministry the opportunity to hear directly from their Bishop and gather with others in ministry to discuss the norms to offer feedback. Through the sacraments of initiation, we become members of Christ's body called to holiness and charged with the responsibility to embrace Christ's mission of salvation. The majority of laity will exercise their influence in the secular arena – the family, the workplace, the professions – bringing the gospel values to the primary questions of the society and culture. Some, like you, will join the ordained in forming and shaping parish communities into God's household. Your part in that, as liturgical ministers, substantially contributes to the mission of the church. Therefore, ongoing formation is key. How often do I need to participate in formation? A renewal of the mandate you will receive is only required once every three years. However, resources in the form of articles, videos, and web links, will be sent to you on a regular basis to help you continue to grow in your ministry and in your faith. Yes. Formation is available in English and Spanish. Paper registration forms are available online and parishes are encouraged to make these forms available to those in ministry who may not have computer access. To participate in the required online learning, all face-to-face opportunities will include the chance for those without computer access to view the required modules for credit. What if I serve in more than one parish? The norms allow those who serve in more than one location to request a mandate for a secondary location. This can be accomplished within the learning platform. What if I serve in a parish and a nursing home or retirement home? Can the EMHC bless people who come up with their arms crossed? On occasion, someone will approach the EMHC with their arms crossed over their chest. For many, this is a sign that they would like a blessing instead of Holy Communion. Perhaps they are seeking a spiritual Communion for personal reasons, perhaps they are not Catholic. Whatever the reason, the fact remains: If the person is in the line of the ordinary minister, a blessing may be offered. It is not required. The purpose of the Communion line, you see, is to receive Holy Communion. The blessing of the assembly properly occurs at the end of the Mass. As the body of Christ, the assembly is blessed together before we depart to live the fruits of the liturgy. So what is an EMHC to do? Since it is the role of the EMHC to distribute Communion and not to retrieve it or repose it, it is also not the role of the EMHC to offer a blessing. That is reserved for the ordinary minister during Mass. After Mass, we may bless each other (and do). While liturgical law restricts to ordained ministers the imparting of liturgical blessings, lay people are not forbidden from using similar gestures in non-liturgical settings. In the Diocese of Bridgeport, an EMHC may (without the Blessed Sacrament or any gesture of a blessing), offer these words: "Receive the Lord Jesus in your heart." to anyone who comes forward to join in a spiritual Communion. Can I distribute communion as an EMHC if I myself do not receive communion? No. Part of the nature of the distribution of Holy Communion to the faithful is the significance that Christ gives himself to his people, contained within the sacramental re-presentation of his sacrificial offering. When an EMHC does not first receive the sacrament of Holy Communion before distributing to others, that connection is broken, preventing the person to distribute Holy Communion to others. What should I do when I am distributing the Precious Blood and someone comes up to dip the host into the chalice (which is the practice of intinction)? “The communicant, including the extraordinary minister, is never allowed to self-communicate, even by means of intinction.” Practically, this means that the person approaching the minister must consume the host before receiving from the chalice. Why can’t laypeople lead a Communion service in the absence of a priest anymore? Though some parishes have fallen into the practice of allowing EMHCs to lead Communion Services during the week, this practice is not in keeping with the revised norms. Morning celebrations of Mass at parishes are more than the personal reception of Holy Communion; it is to be the act of joining my life with Jesus’ Sacrifice that is re-presented in grace during the celebration of Mass. Though there may not be daily Mass every day at your parish, the Diocese of Bridgeport is blessed with more than 80 parishes and finding a daily Mass at a neighboring parish should not be difficult. What are the considerations I must know regarding the distribution of Holy Communion to someone who is gluten intolerant? A person who has gluten intolerance and who desires to receive Holy Communion needs to discuss their situation with their pastor or chaplain to determine the most appropriate way to receive the Body and Blood of our Lord. It is important to remember that, when low-gluten hosts are consecrated at Mass, they are to be kept in a separate ciborium or on a separate paten to segregate them from ordinary hosts. Due to the sensitive nature of gluten intolerance, even the slightest contact with a normal host can have difficult – if not disastrous – effects in someone with gluten intolerance. Why can’t EMHCs go to the tabernacle? I have been doing this for years. The revised norms require that only the ordinary minister go to the tabernacle. As extraordinary ministers, it is our job to assist the priest and deacon in distributing Holy Communion. Since there is a direct connection between the actions of the priest at the altar during Mass and the Blessed Sacrament that is reserved in the tabernacle, the norms require that the priest retrieve the consecrated hosts. Since the deacon is also an ordained minister whose role it is to assist the priest at Mass, it is appropriate for the deacon to retrieve the reserved Blessed Sacrament. What should I do if an instituted Acolyte shows up to serve at the same Mass at which I’ve been assigned to distribute Holy Communion? The ministry of the instituted acolyte is universal and not particular: while an EMHC is mandated to serve in a specific parish, school or institution, the ministry of the acolyte applies to the universal Church. For this reason, an acolyte must exercise his ministry before an EMHCs is asked to do so. This is required because the acolyte “is instituted for service at the altar and to assist the Priest and the Deacon […] and, if necessary, to distribute the Eucharist to the faithful as an Extraordinary Minister.” These are “his own proper functions which he must carry out in person.” When such instituted acolytes act as EMHCs at Masses without a deacon present, “the acolyte administers the chalice to the communicants.” It is also the task of the instituted Acolyte to assist in the purification of vessels, especially in the absence of a deacon. What should I do when an accident occurs during the distribution of communion? “If a host or any particle should fall, it is to be picked up reverently; and if any of the Precious Blood is spilled, the area where the spill occurred should be washed with water, and this water should then be poured into the sacrarium in the sacristy.” Care should be taken that these remedies should not be delayed, so that further foot traffic in any affected areas would be prevented. Therefore, if a consecrated host falls on the ground, immediately pick it up and place it on the priest’s paten on the altar, so that he may consume it at the proper time. If the Precious Blood accidentally spills on the ground, immediately wipe up the spillage with your purificator, and placing it on the credence table, obtain a fresh purificator for continued distribution. Obtain an additional clean purificator to place over the affected area of spillage to mark it for cleansing with water after the Mass concludes. I know that I must observe a fast for an hour before receiving Holy Communion. Is there a period of fast for a sick person? What should I do when the sick person is unable to finish consuming the host? If the sick person is unable to consume an entire host, a smaller piece may be given to him or her by reverently breaking the host into a size that is capable of consumption. Care must be taken to avoid the unnecessary creation of consecrated particles. A glass of water may be provided to assist the sick person in consuming the host. If the host is rejected by the sick, it should be wrapped in a purificator and brought back to the Church or Chapel from which the EMHC was sent. There, the EMHC must contact his or her pastor or chaplain to attend to the proper disposition of the partially consumed host. Can laypeople expose the Blessed Sacrament for Eucharistic Adoration? Although the Rite of Eucharistic Exposition and Benediction of the Holy Eucharist allows for an EMHC to “publicly expose and later repose the Holy Eucharist for the adoration of the faithful” in the absence of a priest or deacon, EMHCs ordinarily do not have this permission in the Diocese of Bridgeport. Permission can be granted if permission is requested from the bishop or vicar general in advance. Arrangements should be made with the priest and/or deacon for the exposition and reposition of the Blessed Sacrament when Adoration is planned. My son or daughter is in high school and was asked to serve as an EMHC. Can he or she also serve in our parish? Students of sufficient age who apply for a mandate to serve in their respective Catholic high school may also receive a mandate to serve in their home parish, with the approval of their home pastor, which must accompany their application for formation. In addition, faculty members of any Catholic high school located in the Diocese can seek a mandate to serve in their respective high school and, if interested, can also seek a mandate to serve in their home pastor. When do I reverence the altar and when do I genuflect before the tabernacle? The focal point during Mass is the altar. Therefore, in the course of the Mass, a bow to the altar is appropriate and no reverence to the tabernacle is necessary - except at the beginning and end of Mass when you genuflect (if the tabernacle is in the sanctuary). Can my non-Catholic sibling or friend read at my wedding or our parent’s funeral? A non-Catholic who is baptized may read at the discretion of the presider of the wedding or the funeral but this is not the common practice. If the presider makes an exception, the person who is to read should be properly prepared. A person who is not baptized may never read at a Eucharistic celebration. We have young people read at Mass sometimes. Can that continue? Yes. In the Diocese of Bridgeport, young people under the age of 16 may function as a reader at Masses celebrated with his or her school, during the celebration of the Sacrament of Confirmation, and at parish Masses where a large number of children and young families may be present, provided it is permitted by the pastor or episcopal chaplain on a case-by-case basis. Such instances require that the young person must be properly prepared and competent to exercise the ministry. Why can't I read from my iPad at Mass? Since liturgical books serve as “signs and symbols of higher realities, care must be taken to ensure that they truly are worthy, dignified and beautiful. ” For these reasons, “the books of readings used in the celebration are not to be replaced by pastoral aids, for example, by leaflets printed for the preparation of the readings by the faithful or for their personal meditation.” This includes electronic devices. What is the best way for me to proclaim readings from Sacred Scripture? The Order of Readings specifies that “a speaking style on the part of the reader that is audible, clean and intelligent is the first means of transmitting the word of God properly to the congregation.” The Order also emphasizes that “the Liturgy of the Word must be celebrated in a way that fosters meditation; clearly, any sort of haste that hinders recollection is to be avoided.” When proclaiming the readings, the reader should have an unhurried, purposed disposition that is focused on expressing the spiritual and salvific content of the readings. In the proclamation, take care to avoid any dramatic or theatrical flair which would only serve to tarnish and obscure the profundity of the passages being read. To make the proclamation a living word, emphasize words that are important to the passage. It is helpful to realize that the formulation of the scriptural readings found in most editions of the Lectionary in the United States have distributed the passages of Sacred Scripture into what are known as “sense lines.” These assist the reader to create natural breaks, pauses, and emphasis in the scriptural text, facilitating the proclamation of what can at times be a difficult and lengthy passage. Remember as well that most churches contain voice amplification systems which employ the use of microphones. When using a microphone, it is especially important to be cognizant of the volume and diction of your speech when proclaiming the readings. One of the most important elements of a successful proclamation is preparation. Readers should thoroughly prepare themselves to proclaim the Word of God through study, prayer, and practice. Familiarity with the text, its role within the context of the whole of Sacred Scripture, and its relationship to the other readings for the day should be carefully considered. It is helpful to set aside time for prayer along with the texts to be proclaimed. Practice your proclamation aloud at home and be sure to pay special attention to the pronunciation of difficult words or phrases. What is the Book of the Gospels and when is it used? The proclamation of the Gospel is the apex of the Liturgy of the Word, the moment when the teaching of Christ the Lord is proclaimed to the assembly. “The liturgical traditions of both West and East have consistently made a certain distinction between the books for the readings. The Book of the Gospels was always fabricated and decorated with the utmost care and shown greater respect than any of the other books of readings.” The Book of the Gospels bears such importance that it “is presented to a deacon at his ordination and that at an ordination to the episcopate [it] is laid upon the head of the bishop-elect and held there.” It is used at Mass at the discretion of the priest celebrant, typically on more solemn occasions. Another reader came to the same Mass at which I have been assigned to read. Can we divide the scriptural readings between us? It is not possible for ministers to “divide a single element of the celebration among themselves, e.g., that the same reading be proclaimed by two readers, one after the other, with the exception of the Passion of the Lord.” When there are several readers at the same Mass, the priest celebrant will determine whether the task of proclaiming the scriptural readings will be divided between them. Where do I sit during Mass? This will depend on the layout of your church’s worship space and your assigned responsibilities. Simply, you should sit as close as possible to where you will be performing your liturgical functions. Ultimately, your pastor will instruct you regarding where you are to sit. What if I am a new reader and an Extraordinary Minister of Holy Communion? Visit The Leadership Institute and click LEAD to register. after December 3, 2018, and register online. The system will automatically assign you the appropriate tasks based on the ministry you choose. Face-to-Face formation will populate on your dashboard of the learning platform. You are required to attend one face-to-face formation opportunity every three years. You will be required to upload a letter of recommendation. Sample letters are available online and this “task” is an easy to follow process in the online platform. You will have as much time as you need to complete the required formation. When you are finished, you can print your certificate (“the mandate”) to give to your pastor. Who needs a letter of recommendation to serve? Only those who are new Extraordinary Ministers of Holy Communion will be required to upload a letter of recommendation into the online learning portal. This will be an assigned task when you first enter the system and will be required before the mandate is printed. Is there a certain way I should bow? A period of silence is suggested after each of the scriptural readings and after the homily. What is its purpose and how long should this silence be observed? The period of silence which the liturgical rites encourage during the Liturgy of the Word is meant to foster prayer and meditation: “The dialogue between God and his people taking place through the Holy Spirit demands short intervals of silence, suited to the assembled congregation, as an opportunity to take the Word of God to heart and to prepare a response to it in prayer.”. A recommended action for successful implementation of a period of silence would be to begin with shorter periods of about 10-15 seconds before moving to longer periods, such as 30 seconds or more. This will help to eventually establish an appropriate period of time during the Liturgy of the Word for silent prayer and meditation. What are some best practices when selecting candidates to serve at the altar? An initial interview should be conducted by the pastor, deacon, chaplain or lay leader in charge of this ministry and its formation with the candidate to make sure they are of the right mind set and disposition to carry out their role in this ministry. Verification must be obtained regarding the candidate’s reception of the Sacraments of Baptism, Holy Communion and if applicable, Confirmation. An orientation meeting should take place for all Candidates to review the scope of the ministry, formation requirements, expectations, etc. Formation for this ministry can take many forms, including online sessions coordinated by The Leadership Institute. Offer opportunities to serve at other Liturgies, such as Funerals, Weddings, Christmas, Easter, etc. depending on expertise and provide appropriate training for such venues. What does it mean to “purify” the sacred vessels? The rite of purification is carried out by a priest, deacon or instituted acolyte. Purification ensures that any remnants of the sacred species are reverently consumed. No altar server is permitted to purify the sacred vessels for any reason. What happens if we never update the Virtus database? If your parish does not update the Virtus database, The Leadership Institute cannot send emails inviting readers and EMHCs to begin formation. After June 1, 2019, all those in ministry prior to the promulgation of the norms who have not begun their formation will be treated as new and will need to complete the longer formation. Who will track the mandates, formation, and renewals? The Leadership Institute will track all readers and EMHC. We will send out reminders for renewals and invitations to continued formation. Even those who register via a paper form will be tracked in LEAD, the Institute’s online platform. Can parishes see how ministers are progressing through formation? Yes. All those who serve in various ministries in parishes will be placed in teams within the online platform. Any parish who wishes to do so, may request to have team managers assigned to track the progress of ministry participants. Parishes may also use the system to send notifications to all ministry leaders within their parish. Can a parish just host their own formation and skip the diocesan formation? No. Parish leaders are encouraged to host their own meetings to help liturgical ministers brush up on how the new norms will change anything at the parish, but participation in diocesan meetings (one in person meeting) is still required. In special circumstances, where the parish will be hosting a meeting in another language, coordination between the parish and the Institute should take place to ensure that all information is appropriately covered.